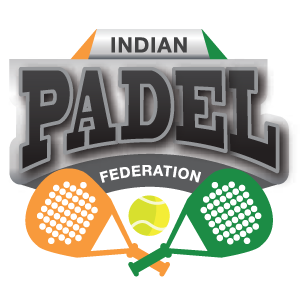 The Indian Padel Federation (IPF) uses a Points Per Round ranking system (PPR) to annually rank players and publish National Ranking Lists. Ranking Points are earned by winning matches at various types of IPF national tournaments and designated tournaments . National Ranking Tournaments: National Ranking Tournaments are all tournaments on the IPF Junior Tour (IJT) and IPF Open Tour (IOT), and all count for national ranking. Additionally, each State Association designates up 6 National Ranking Tournaments (also called State Ranking Tournaments) that count for national ranking. Because State events are designated National Ranking Tournaments, it is possible for a player to earn a national ranking by playing only in State tournaments. Points Per Round: These are the Ranking Points assigned to winning rounds at the National Ranking Tournaments. Ranking Points: This term is used in two ways. It generally refers to both types of point earning tournament- State and National. It also is used as a term for the total Ranking Points a player has based on the PPR Calculation. PPR Calculation: This is the mathematical calculation of Ranking Points used to determine a player’s ranking. National Ranking Levels: Every National Ranking Tournament is assigned a National Ranking Level. The Level of a tournament determines the number of Points Per Round earned by winning matches at tournaments. In year 2017, a single grade of tournaments will be executed. Point Tables: The Point Tables show the Points Per Round assigned to each National Ranking Level. There are various tables for the different draw and consolation types used at National Ranking Tournaments. National Ranking Lists: These lists are published shortly after the end of a year and are the official national rankings for a calendar year. The Indian Ranking is the mathematical method of ranking Indian Padel athletes on a calendar-year basis. The Indian Ranking is the objective merit-based method used for determining qualification for entry and seeding in all tournaments . Ranking Points are earned based on player result in the main draw and qualifying players . The IPF has citizenship/alien eligibility requirements for earning a national ranking. These requirements also must be met to enter IPF National Championships and the IPF Team Championships. Consequently only players that meet these eligibility requirements appear on the National Ranking Lists . Permanent resident aliens of India. Aliens who have resided in India continuously for more than one year and who are members of families of persons in the diplomatic or consular corps. A player must win a round to receive any Ranking Points for the tournament. Players do not receive any points until they have won a round. Byes do not qualify as wins. Withdrawals and walkovers qualify as wins for the advancing player and earn Points Per Round. Retirements qualify as wins for the advancing player and earn Points Per Round. A player who advances because of a default that takes place before the commencement of the first point in the match or because the opponent is disqualified shall receive Points Per Round for advancing. A player who advances because of a default that takes place after the commencement of the first point in the match shall receive Points Per Round for advancing. A player who is defaulted from a match for code violations under the Point Penalty System or misconduct forfeits Ranking Points accumulated during the event. No Points Per Round will be earned in the qualifying rounds of tournaments when the qualifying draw and main draw are covered in a single sanction. However, Bonus Points will accumulate for play in the qualifying draw and will be “attached” to the tournament at which they are earned. Player results across all categories . Effective till date December 31st 2017 . Reached Round of 32 – 150 ( in case of a draw of 32 , this tally will be “0” points . who have accumulated at least 25 points in the division. Only points earned in the age division will count towards ranking in that division – points earned in an older division do not count down and points earned in a younger division do not count up. Players may be ranked in more than one age division if they have been age eligible in more than one division during the year and have met the minimum point requirement for each age division. The order of the National Ranking List is based on Ranking Points earned in a previous calendar year. If more than one player has the same number of Ranking Points, both shall have the same National Ranking. It is recommended that players review their records after each tournament they play – tournament results are typically posted no more than one week after the completion of a tournament. Prior to finalizing National Rankings, the IPF publishes a Tentative Ranking list no later than January 15. Corrections must be submitted no later than January 30 to be considered prior to the publication of the Final Rankings. Finding Your Record Online: To find your player record online, click on “Ranking List” in the navigation bar . Click on the list you want to review and then on your name to view your player record. If you appear on lists for more than one age division, you must go to each list to review your record for the division as the linked player record reached from a list only includes National Ranking Tournaments that count in that list’s division. Final Rankings: These are the National Rankings in all divisions that have been published after corrected data have been received and acted upon by the IPF. They will be published no later than January 30. Final National Rankings are not subject to appeal.